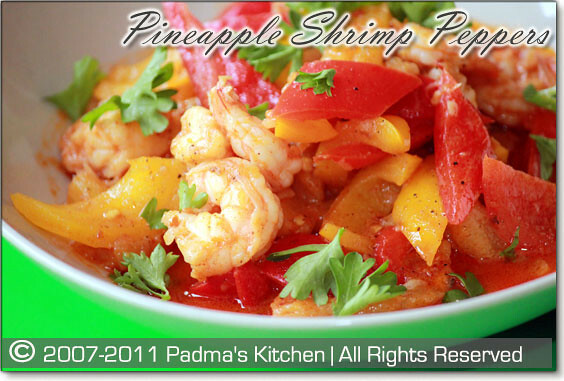 Using Shrimps in any dish brings out the unique flavor of the sea. I love prawns (popular name for shrimp in India) any way cooked. This recipe I made for community contest, I am part of and there were some rules to cook only specific ingredients. It was a little challenging but I remembered this recipe which was shown sometime back on TV. And trust me you will keep licking your fingers... and will definitely go for a second serving!!! 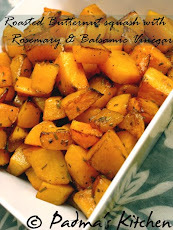 Great as appetizers for parties or serve it with jasmine rice to make a seafood entree. 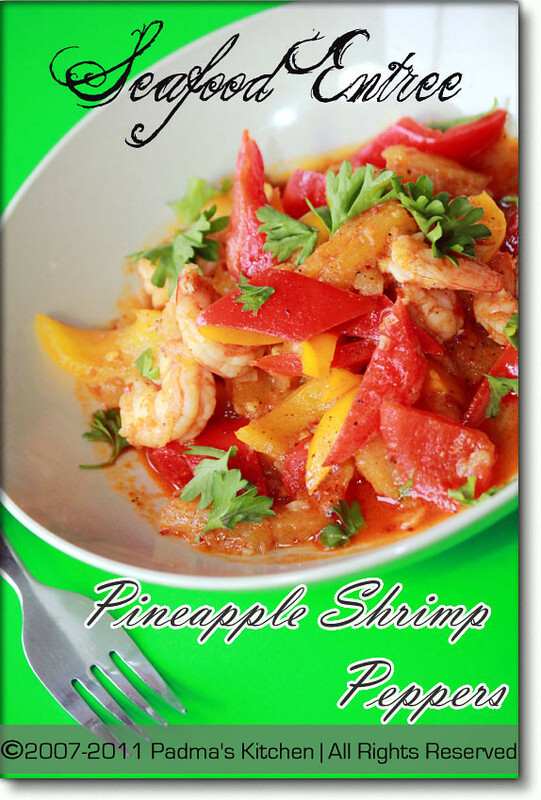 Either way you chose this Pineapple Shrimp Peppers won't let you down. Adapted from one of the great Indian cooking show 'Khana Khazana' by Sanjeev Kapoor Ji, made some minute changes to adjust to my taste palette. First heat oil in a nonstick pan, add garlic when oil is little warm. Saute garlic till it changes color. To this add pineapple pieces and mix well, add salt and saute on medium high flame for a minute. Then add sugar and 1/2 cup water, cover with a lid and let it cook for 5 more minutes. Time to add the shrimps and red pepper and yellow pepper, you can use any colored pepper(capsicum) like green or orange too! Mix all the ingredients well and add freshly powdered black pepper and check for salt. This dish is ready in no time, Serve it with your favorite rice item or like an appetizer. 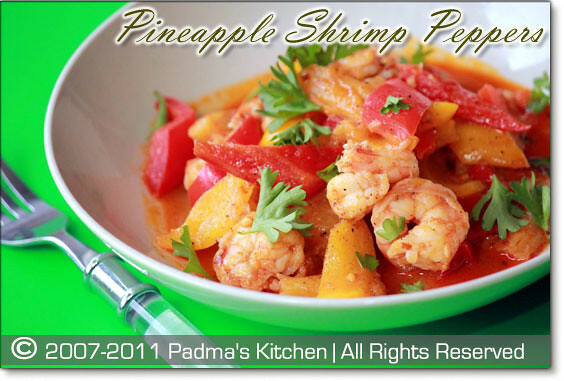 Wow thats so flavourful and very tempting shrimp dish..